Canstar Direct Life Insurance Star Ratings uses a sophisticated and unique ratings methodology that compares both cost and features across direct life insurance products. After crunching the numbers, Canstar has names the recipients of the Direct Life Insurance Outstanding Value Award. 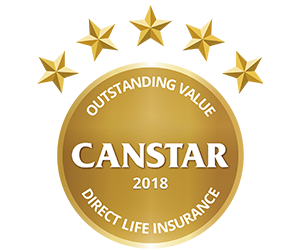 Canstar researched and rated direct life insurance products across a range of profiles and announced three winners of the Direct Life Insurance Outstanding Value Award. Find out who made the cut here.